The SupaScoota Sprint is fantastic if you're looking to ride to the shops and beyond. It's equipped with 2 x 150-Watt motors which make it the ideal companion for long days out with family and friends. As the SupaScoota Sprint can be dismantled in a matter of seconds, you'll have no problem storing it in your house or transporting it by car, train, aeroplane, coach, or cruise ship. 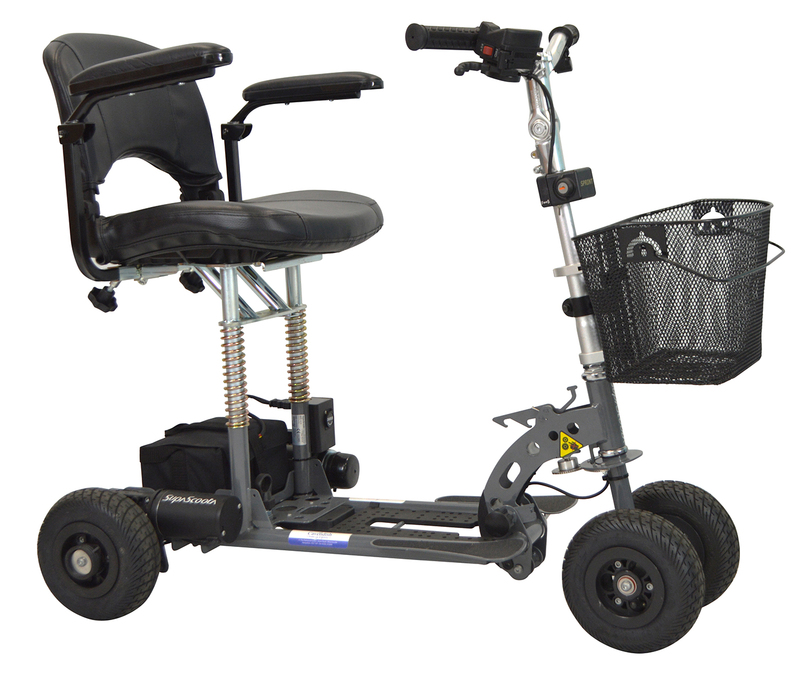 It has all the features you would expect from a high-quality scooter. For safety, the electromagnetic brake and stability control will provide peace of mind. Also, the suspension seat will ensure a smooth ride when you're out and about - this really is the perfect all-rounder.